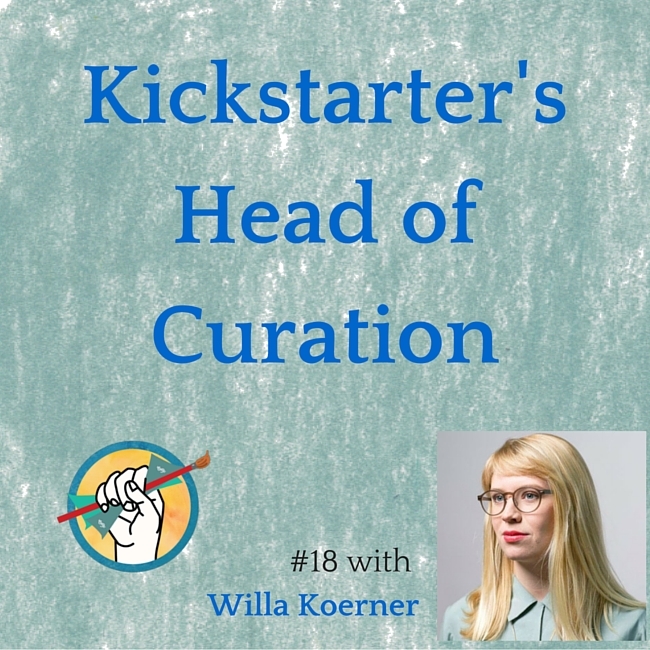 1:15 – what the field of curation includes and how Willa Koerner got started in that world. Figuring out how to tell the story of opaque artists like Rothko and help people identify with that work. 6:00 – how internet culture is influencing the art world, and the very real challenge that far too many artists are ignoring the way that the internet is influencing the real world. There is art made with code or that can only be experienced online, and is just as valid as art in a physical space. 11:30 – the rising potential and opportunity for creating art in virtual and augmented reality. Black Out’s Kickstarter campaign and Blackout Virtual Reality homepage. 17:10 – how Willa went from working at the MoMA to working at Kickstarter, and why she did it. Willa’s job is pretty incredible. She and her team are tasked with being aware of the truly unique and original ideas that people have so that Kickstarter can promote innovative ideas. 22:30 – how Kickstarter handles the filtering of the hundreds of projects that are seeking crowdfunding. They are not just looking at what’s on the site, but also out in the world talking to people working on their dream projects. 32:00 – how to connect with a curator like Willa to help promote your work. Learning to network effectively. Great, liked the last part most, after 23 mn.